Thanks for sharing this wonderful bread. I love learning new regional cuisines and local breads and goodies! Perfect for the holiday season! I never tried making pandesal before Malou. My pandesal moment is having it with loads of butter and sugar haha. 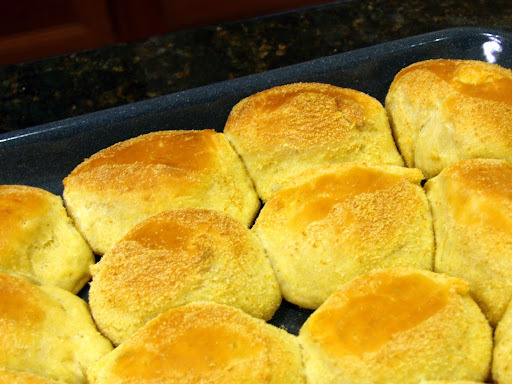 This recipe looks very complicated with different groups of recipe but it is definitely worthwhile to make these buns for their great taste. I will bookmark this recipe for a try. Can't wait for the chocolate drink. I'm in for another Filipino food lesson. Lyndsey: I'm happy to share it with you. Thanks for stopping by. Jenny: wow i love your pandesal moment. i think i also cherish the same haha. Zoe: It looks intimidating but knowing how skillful a baker you are, it would be relatively easy for you to make. Jasmine: I'm glad someone is excited haha. Thanks for stopping by. Hot Pan de Sal is my favorite with hot coffee and of course with queso de bola, quesong puti, or just plain Kraft cheddar cheese in that blue can. Wow, this pan de sal that you made with Nana Ming looks good, Malou! 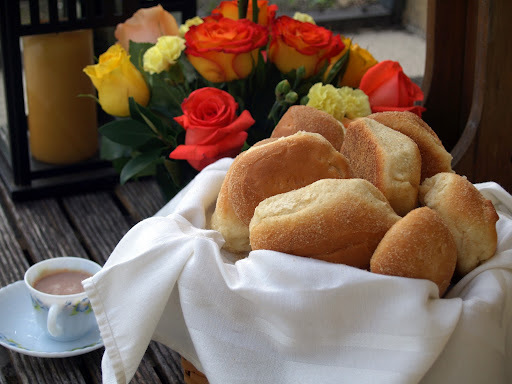 Malou-your traditional rolls are so beautiful, perfect, and delicious. Love the photos of it, and the gorgeous roses in the background. I Love Pan De Sal! Never made it before but maybe now I can. Thanks for the recipe. One of my fondest memories as a child was eating hot pan de sal with Kraft cheese (you know the kind in a blue can?) Oh so good! Ray: who would forget that cheese? I think everyone grew up with that ;P thanks for stopping by. Elisabeth: I'm glad you noticed even the roses at the back. I just used them for the shoot but they were actually used as my sister's wedding anniversary... yep aren't they gorgeous? Mars: another Kraft Cheese baby haha. yeah i love that cheese even straight from the can. I hope you will be able to try making pandesal. it's worth your time! loveforfood: thank you, i do appreicate the kind words. hot pandesal all the time.. is a billboard i couldn't forget in our neighborhood. i love how you staged your bread... so classy. 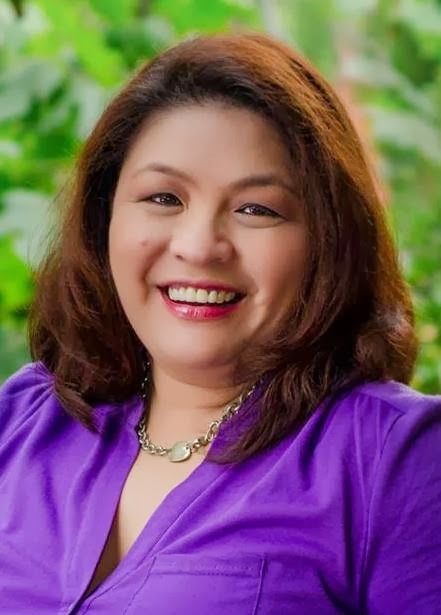 i love your blog malou. Thank you for sharing us your Filipino recipes. I love the way you write, very informative yet not boring. Yes, finally we have the Pan De Sal recipe we've been waiting for. I may have to try this AFTER the holidays. Thanks, G! All so new to me - but yes, I would love waking up to these in the morning. And not sharing. (That's the little kid in me). The photos sing of goodness. Just checked custard cake that I missed and now bread. Your blog posts make me super hungry before dinner time. Love learning about Filipino dish from you! Hello. I tried your recipe but my dough came out too moist...I followed your instructions and measurements, but it still came out soggy. Am I adding too much water? Any tips for improvement? Thanks. hello there, i'm sorry for the late reply. your comment being an anonymous went to my spam box. I'm so sorry to hear that the recipe didn't work for you. But here's how to improve it.Try to add more flour until the dough should be more of a soft clay rather then moist and soggy. Be sure to add water slowly next time if in turn the dough gets too hard. Hi Malou - when you say cover the bowl, what do you use with cover when you are putting it in the oven. Can I use foil? I was going to use a pyrex bowl but it has a plastic lid so I can't put it in the oven. Thanks for your help. hello there, you could use your pyrex bowl and cover it with a damp kitchen towel. The cloth kind and not the paper one. This will keep the dough moist and helps the yeast to rise. I'm so sorry to learn that your pandesal making experience didn't turn out good. 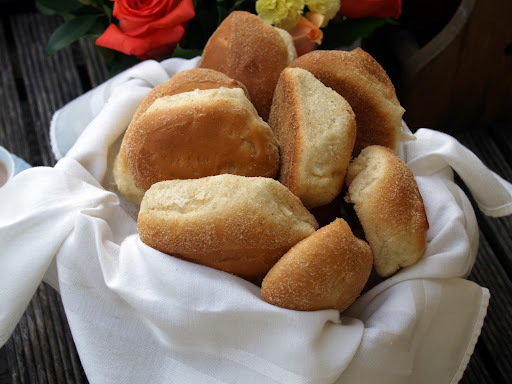 I haven't made pandesal in awhile to tell you honestly but I compared my recipe (in my blog) vis a vis the recipes my aunt and the measurements are the same. I called my aunt too and here's her advice: Pour the milk gradually into the flour mixture. don't pour it all at once. combine all the ingredients together, kneading it until it forms a dough. I will try this recipe again to re-evaluate it. 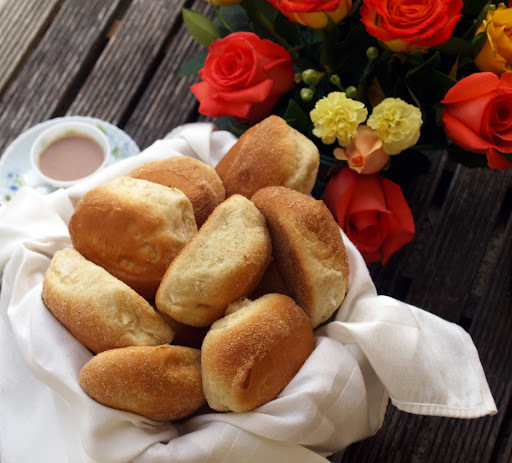 I have been making my pandesal by using my the monay recipe I have here in my blog. The only difference is that i put bread crumbs on top and bake them in a shorter time. Here the link to that monay recipe http://www.skiptomalou.net/2012/01/monay-filiipino-rolls.html. I hope this helps... feel free to contact me at malounievera@gmail.com. Again, sorry for the bad experience. I hope you will still give it a chance. can I use rapid acting yeast? 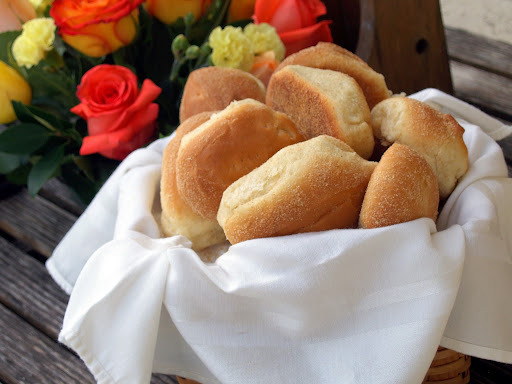 I made these pandesal today and OMG, they are so good. I made some last weekend but I used a different recipe, they were good but your recipe is by far the best out there. This is a keeper. Thank you for sharing it. I just got done trying this recipe, and have also noticed the dough was very wet and gooey. I had to add extra flour to get it to a point that I could work with it. The final result was a disappointment, as the pan de sal lacked any taste. Not sure where the problem lies, but not even close to what I remembered eating from the corner bakery in the Philippines. I feel bad that the recipe didn't work for you. The most critical part is pouring the water. You should do it slowly to get the proper texture. The pandesal tasted bland prolly because of the excess flour that you added. The texture should be soft clay-usque and not too hard. I am trying this recipe right now, dough is proofing as I type. But for some reason the dough was really wet even with the additional 1/4bread flour so I added more flour..more than i wanted to. I just hope that it'll still taste like pandesal. Im keeping my fingers crossed that it will taste alright. Next time you make it, try to pout the water little by little. This way you will get the proper texture. Thanks for asking, let me know ok? Hi Malou, is the water measurement in the yeast group correct ?? 1 1/2c?..